This episode reveals the fascinating chain of events that made everyday miracles such as turning on a light or boiling a kettle possible. Michael Mosley, Professor Mark Miodownik and Dr Cassie Newland tell the amazing story of three of the most transformative inventions of all time: the steam engine, the electrical generator and the steam turbine. They explain how these inventions came about by sparks of inventive genius and steady, incremental improvements hammered out in British workshops. This episode reveals the fascinating chain of events that made quick and safe travel possible even across the greatest distances a possibility. From the Rolls Royce aero-engine factory in Derby, Michael Mosley, Prof Mark Miodownik and Dr Cassie Newland tell the amazing story of three more of the greatest and most transformative inventions of all time, the steam locomotive, the internal combustion engine and the jet engine. Our experts explain how these inventions came about by sparks of inventive genius and steady incremental improvements hammered out in workshops. They separate myth from reality in the lives of the great inventors and celebrate some of the most remarkable stories in British history. Nothing has shrunk the globe more than our extraordinary ability to talk to one another across the oceans and continents. 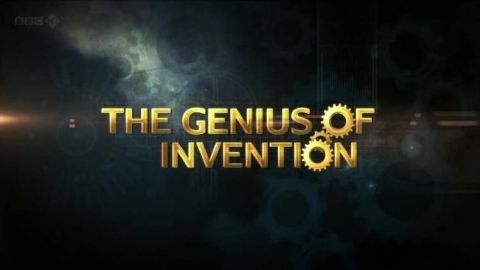 Episode three of The Genius of Invention reveals the fascinating chain of events that made such every-day miracles possible. It tells the story of the handful of extraordinary inventors and inventions who helped build the modern world by harnessing electricity and electromagnetism to enable us to send instant messages across vast distances. 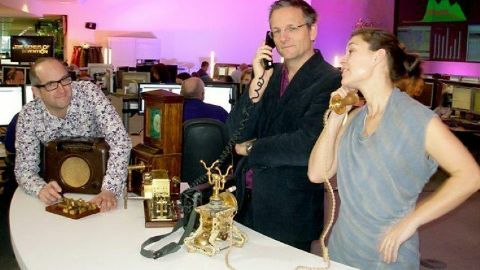 Michael Mosley and academics, Prof Mark Miodownik and Dr Cassie Newland tell the amazing story of three more of the greatest and most transformative inventions of all time; the electric telegraph, the telephone and wireless communication. Our experts explain how these inventions came about by sparks of inventive genius and steady incremental improvements. They separate myth from reality in the lives of the great inventors and celebrate some of the most remarkable stories in British history. Our ability to see and record live events from right across the world has shrunk the globe, making virtual neighbours of us all. It is a defining characteristic of our modern world. The final episode in the series reveals the fascinating stories that made such everyday miracles possible. 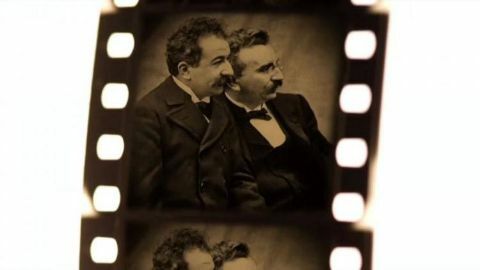 It tells the story of the handful of extraordinary inventions and their inventors who tackled the complexities of chemistry and electronics and discovered how to capture and reproduce still and moving images. Michael Mosley and academics Prof Mark Miodownik and Dr Cassie Newland tell the amazing story of three of the greatest and most transformative inventions of all time - photography, moving pictures and television.